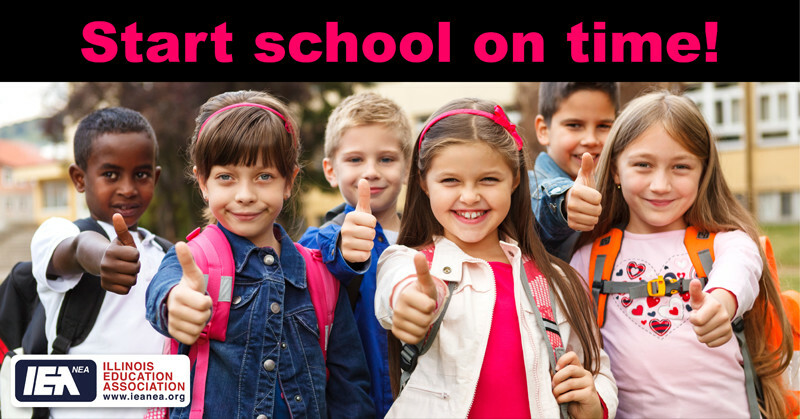 Tell your lawmakers to start school on time! Call 217-733-5010 and tell lawmakers to VOTE YES on SB1 so students can start school on time. Visit the IEA website for the SB1 FAQ and Fact Sheet.